Included in S. tenuifolia in Michigan Flora. 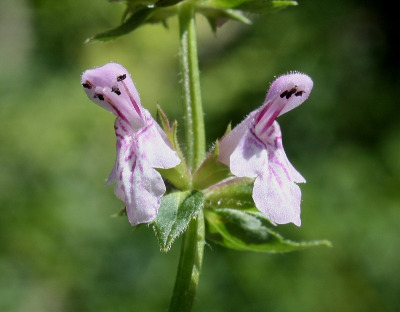 The commonest member of the Stachys tenuifolia group in Michigan, and the only one found throughout the state. Rare specimens (seen from Lenawee and Wayne Cos.) more or less intermediate with S. tenuifolia by having either essentially glabrous leaves but short petioles or hispid leaves but long petioles, may be hybrids. MICHIGAN FLORA ONLINE. A. A. Reznicek, E. G. Voss, & B. S. Walters. February 2011. University of Michigan. Web. April 21, 2019. https://michiganflora.net/species.aspx?id=2854.